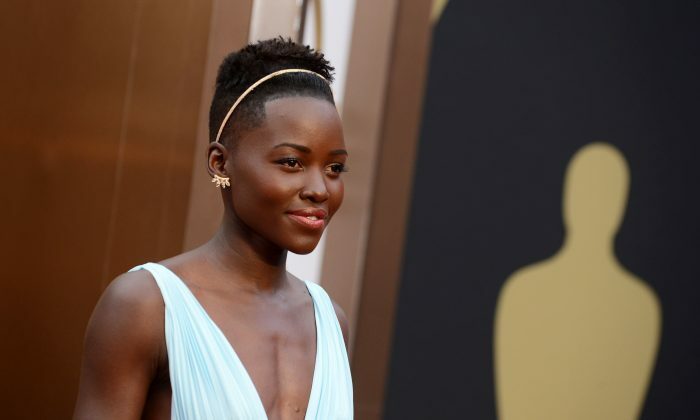 Graceful in mind, body, and spirit—it all fell into place for Oscar winner Lupita Nyong’o. She looked happy and fulfilled even before she got the good news. She was light and airy in her flowing, pastel-blue Prada gown. The high fashion and accessories of Oscars night adorned a bright and generous soul. 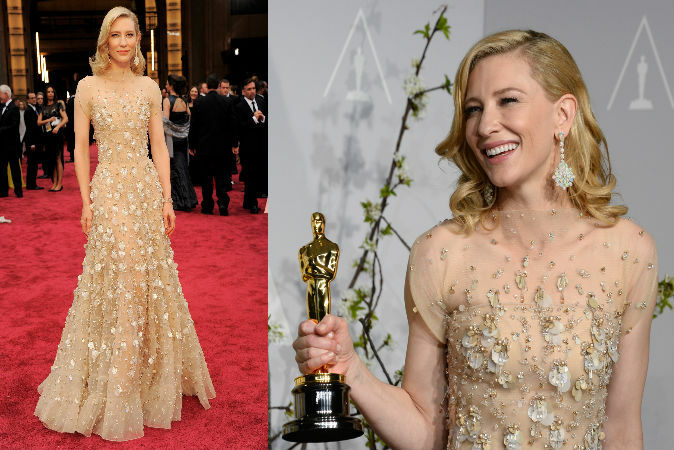 Another great beauty inside and out, Cate Blanchett took the coveted Best Actress trophy for her role in “Blue Jasmine.” Her Armani gown was a fairytale dream. Sultry bangs completed her 1930s hairstyle and her opal earrings were a lustrous finishing touch. Does she ever take a wrong step? She makes it all look so effortless—a great actress, a mother, a philanthropist, and a woman with an eye for fashion. Column-silhouette cut dresses dominated the red carpet, restricting their wearers to a geisha walk. Best Actress nominee Amy Adams was one of the stunners who pulled off the look. Her deep-blue, sculptural column-silhouette Gucci Couture gown, the antithesis to her 1970s wardrobe in “American Hustle.” The blue perfectly complemented the tame, red color of her hair. Her ruby tresses were pulled into a classic up do. Her Tiffany earrings and yellow diamond bracelet wrapped up the faultless ensemble. Jennifer Lawrence, nominated for the Supporting Actress award for her role in “American Hustle,” continued the parade of body-hugging gowns, but in a tomato-red Dior that stood out in the sea of beige. A cute ruffle at the hip also set her dress apart from the smooth gowns around her. Her simple, short haircut and up-swept bangs underscored the simple elegance of her look. Sandra Bullock was a show-stopper in her Alexander McQueen gown. The deep-blue fabric with its intricate, asymmetrical draping accentuated her curves. This was an Oscar-ready gown and if there were a category for Best Dressed on the Red Carpet, she would have nailed that one. She is usually impeccable in her fashion choices, but it’s time for Theron to take some chances. Something about her style calls out for an overhaul. Julia Roberts, nominated for her supporting role in “August: Osage County,” wore a classic, black Givenchy that was perhaps too matronly and even a little last century—Edwardian inspired, no doubt. The black lace dress, complete with ruffle at the waist, seemed slightly incongruous with her happy countenance, and even her hairstyle seemed a little mismatched. Roberts’s overall look just didn’t quite gel. 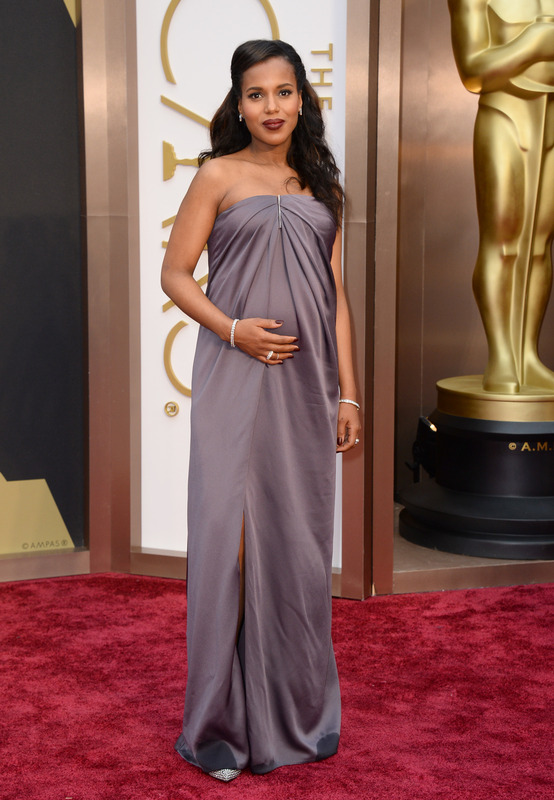 Two contenders for the “Best-Dressed and Very Pregnant” were Kerry Washington, in a loose-fitting mauve Jason Wu dress with a diamond bar clip, and Olivia Wilde, in a black, sleeveless Valentino. Wilde would take the hypothetical trophy for her elegant, classic outfit. It was perfectly complemented by her up-do and the white earrings that resonated with the gown’s white mini train insert at the back. The gown had enough body reference at the waist to give her a lovely silhouette, baby-bump and all. Her look was very well planned. Honorable mention should also go to Kate Hudson, who was nothing short of dazzling in her beaded ivory gown with the mini cape she removed later on during the Oscars presentation. She looked like a Hollywood diva and shone as much as any Oscar winner. 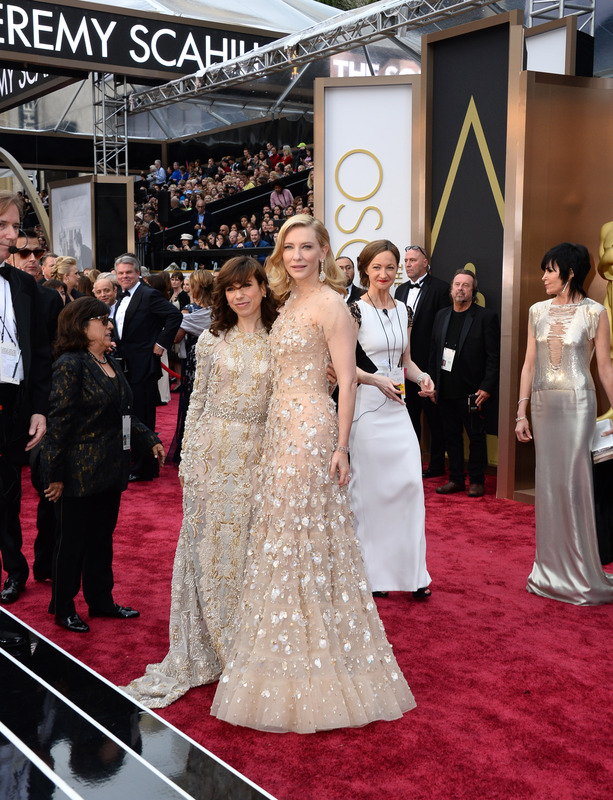 Sally Hawkins, who was also an Oscar contender for her supporting role in “Blue Jasmine,” chose a highly textured cream gown that seemed to weigh her down. She and the other stars need to take a leaf out of Nyong’o’s book and take some chances with their red carpet outfits. Colors come and go, and so do various styles, but knowing who you are or what makes you feel comfortable is always going to trump the Spanx-aided, unhappy Hollywood siren look. Nyong’o’s personality seemed well expressed and well accentuated by her radiant, gentle ensemble.